Winner! 50 Points Complete the game. 100 5 Points People start greeting you on the streets. 1000 10 Points You get all kinds of presents from thanksful villagers. 100K 10 Points People want to fight for you. 10M 25 Points People are naming their children after you. 1M 25 Points A statue was build for you. 100M 50 Points You are crowned to be the King of the Blobzone. 1B 50 Points Thousands of Men fight under your regency. 100B 100 Points You are seen as the greatest Hero there has ever been. 10B 100 Points They even tell Legends about your Sword now. 1T 100 Points Only you can save the world. 5 Points Find it to unlock it! 5 Points The sales pitch! 5 Points Follow me at Twitter. 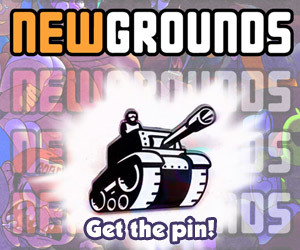 5 Points Check out Newgrounds! 004 5 Points Find it to unlock it! 005 5 Points Find it to unlock it! 009 5 Points Find it to unlock it! 010 5 Points Find it to unlock it! 011 5 Points Find it to unlock it! 012 5 Points Find it to unlock it! 013 5 Points Find it to unlock it! 015 5 Points Find it to unlock it! 016 5 Points Find it to unlock it! 017 5 Points Find it to unlock it! 018 5 Points Find it to unlock it! 019 5 Points Find it to unlock it! 020 5 Points Find it to unlock it! 021 5 Points Find it to unlock it! 023 5 Points Find it to unlock it! 024 5 Points Find it to unlock it! 026 5 Points Find it to unlock it! 027 5 Points Find it to unlock it! 029 5 Points Find it to unlock it! 030 5 Points Find it to unlock it! 031 5 Points Find it to unlock it! 032 5 Points Find it to unlock it! 033 5 Points Find it to unlock it! 035 5 Points Find it to unlock it! 037 5 Points Find it to unlock it! 040 5 Points Find it to unlock it! 042 5 Points Find it to unlock it! 044 5 Points Find it to unlock it! 048 5 Points Find it to unlock it! 049 5 Points Find it to unlock it! 051 5 Points Find it to unlock it! 052 5 Points Find it to unlock it! 055 5 Points Find it to unlock it! 056 5 Points Find it to unlock it! 057 5 Points Find it to unlock it! 059 5 Points Find it to unlock it! 061 5 Points Find it to unlock it! 063 5 Points Find it to unlock it! 065 5 Points Find it to unlock it! 066 5 Points Find it to unlock it! 069 5 Points Find it to unlock it! 071 5 Points Find it to unlock it! 072 5 Points Find it to unlock it! 073 5 Points Find it to unlock it! 074 5 Points Find it to unlock it! 076 5 Points Find it to unlock it! 078 5 Points Find it to unlock it! 079 5 Points Find it to unlock it! 080 5 Points Find it to unlock it! 081 5 Points Find it to unlock it! 082 5 Points Find it to unlock it! 083 5 Points Find it to unlock it! 085 5 Points Find it to unlock it! 087 5 Points Find it to unlock it! 088 5 Points Find it to unlock it! 090 5 Points Find it to unlock it! 091 5 Points Find it to unlock it! 094 5 Points Find it to unlock it! 095 5 Points Find it to unlock it! FIND EVERYTHING 5 Points Find EVERTHING! ENDING 2 5 Points Secret Medal: Unlock this medal to view its details!